General-grade representatives from the two sides met in Singapore in a bid to resolve "mutual misunderstandings" over a dispute regarding Seoul's use of military radar for humanitarian search operations last month, according to Seoul's defense ministry. Tokyo has accused a South Korean warship of locking fire-control radar on its maritime patrol aircraft on Dec. 20. Seoul has rejected the claim, saying the ship was on a mission to rescue a North Korean ship that was drifting in the international waters of the East Sea. "The two sides were apart (throughout the Singapore meeting)," a ministry official said, suggesting that no agreement was reached. South Korea's delegation was led by V. Adm. Boo Suk-jong of the chief director of military support at Seoul's Joint Chiefs of Staff and Lee Won-ik, director general of international policy at the defense ministry. 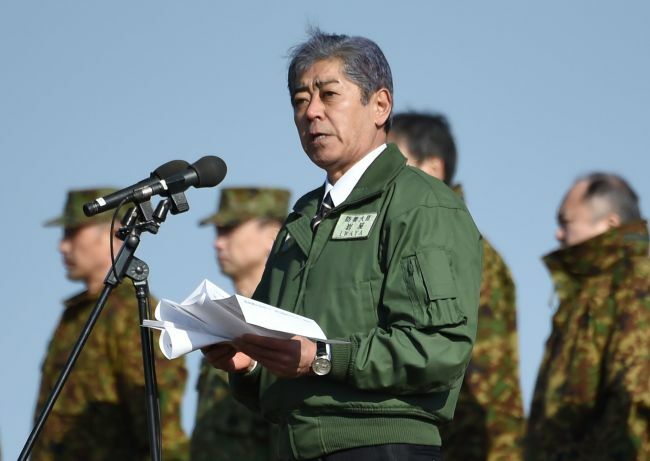 In the Japanese delegation were Lt. Gen. Atsushi Hikita, the director of operations at Tokyo's Joint Staff Office, and Takeshi Ishikawa, a senior defense ministry official. On Dec. 27, the two sides held a video working-level conference on the issue only to confirm their differences over the incident. Just a day later, Tokyo released a video clip to back up its claim over which Seoul expressed "deep concerns and regrets." Later, Seoul hit back with its own video footage, demanding Japan's apology for conducting a "threateningly" low-altitude flight toward the South Korean warship focusing on the humanitarian mission. Seoul has argued that its warship only used a search radar system and did not send out any radar beams to the Japanese plane. It demanded a "smoking gun" -- Tokyo's analysis of radar frequency data to verify if the warship used a tracking radar against the plane.